Larger than Shanghai itself, the Pudong Mew Area is on the eastern bank of Huangpu River. Before 1990,when development plans were first announced. Pudong constituted 350 sq km of boggy farmland supplying vegetables to Shanghai’s markets. Now the veggies are grown elsewhere as Pudong has become a Special Economic Zone (SEZ). Shanghai’s second metro line opened at the end of 1999 and connects Pudong with Puxi. The Waigaoqiao harbor area is being upgraded into a major container port and the US$ billion Pudong International Airport opened as the main international airport in late 1999. Nanjing Donglu, from the Peace to the Park hotels, has long seen China’s golden mile, though its glamour has slipped a few notches in the last 15 years. 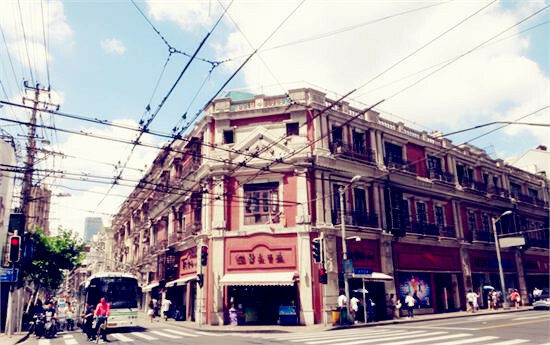 Hoping to bring back its former glory, the city began a massive renovation project in the late 1990s, turning Nanjing Lu into a pedestrian-only shopping extravaganza from Xizang Lu to Henna Lu. Nanjing Donglu becomes Nanjing Xilu at Renmin Gongyuan (People’s Park ). The park and the adjacent People’s Square were once the site of the Shanghai Racecourse, mow occupied by the Shanghai Museum, the Shanghai Grand Theatre, the Shanghai Urban Planning Exhibition Hall and the rather drab municipal government building. Nanjing Xilu itself was previously Bubbling Well Rd, the natural spring having been long sealed over. The crowds are less intense as you head west along Nanjing Xilu, past the former Shanghai Race Club and previous site of the Shanghai Library, now the Shanghai Art Gallery. Beyond the Chengdu Lu Expressway, which cuts down the centre of Shanghai, Nanjing Xilu gives way to office blocks and more shops and hotels, all of which join forces in the impressive Shanghai Centre and Soviet-era Shanghai Exhibition Centre opposite.